This past Saturday, I competed in Elite Nationals which took place in Buffalo, NY. My goals coming into the race were to race hard, have fun and finish on top of the podium. I was happy to accomplish all three goals! The women’s race began at 12:00pm. At race start, the temperature was in the mid-60s, with a bit of wind. A cold front blew through Buffalo the night before the race, leaving a fall temperature in the air. Having been training in Clermont, FL the prior ten days, the weather felt very different! I have to say, racing in the cooler weather allows you to push your muscular system a bit more, although during the race it doesn’t feel quite as painful without the heat! 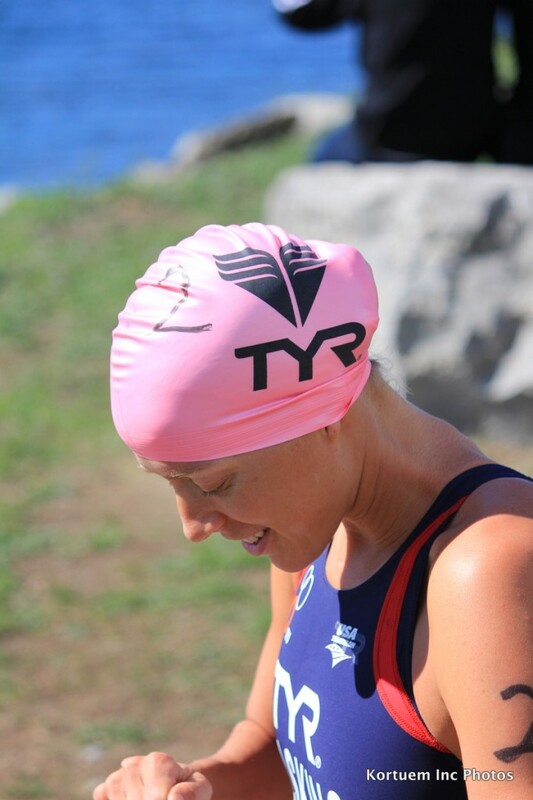 The swim was in Lake Erie, standard two lap, 1500 meter swim. The water temp was 22 degrees Celsius, so no wetsuits were worn. With the wind, it was a bit choppy and made the swim seem longer than 1500 meters! At the swim start, I moved behind Flora who had taken out the swim a little quicker than I had. She led the swim through the first 600 meters. At that point, I took over the swim lead and exited the water with Flora right behind me. The run distance from water exit to bike mount was nearly 300 meters. Flora and I immediately got in a rhythm of working together on the bike and extended our lead from 1:20 out of the water to 2:20 half way through the bike. Nate and I were planning for this type of race scenario and decided to wear my Rudy Project Wingspan TT! When riding with just one other women, it is about as close to a TT as you can get! The course has fairly wide turns that allow you to carry speed through the corners and most of the road surface was well paved. This translated to great conditions for “time trialing” and with the strong wind, the bike was tough. At the end of the sixth lap, I did not want to leave the race down to the run. I knew I only had one jump and I had to make it count. On a section of the course with a strong headwind, I knew this was the spot to make an attack. The road also happened to be very wide at this point in the race, which allowed me to swerve to the opposite side of the road. I rode three meters wide of Flora and rode as hard as I could for 20 seconds out of the saddle. I could see I had a small gap behind me, looking at the shadow behind me between my bars. At this point, I swerved to the other side of the road and got down on my clip on aerobars and pushed hard for another three minutes. At the start of the seventh lap, I could see that I had opened up a 15 second gap on Flora. The last 2 remaining laps I focused on riding strong, but also keeping my cadence up and so that I could flush out all the lactate from the hard attack. When I dismounted off the bike, the first few steps my legs felt a bit heavy from the taxing ride. Once I got my run shoes on, I felt good and in control. I exited the bike with a 40 second lead on Flora. After the first lap of the run, Flora was running very strong and she gained a few seconds up on me. I continued to run my pace and push a strong tempo. After lap two, I had regained the seconds I had lost. On the third lap, my gap opened up more. 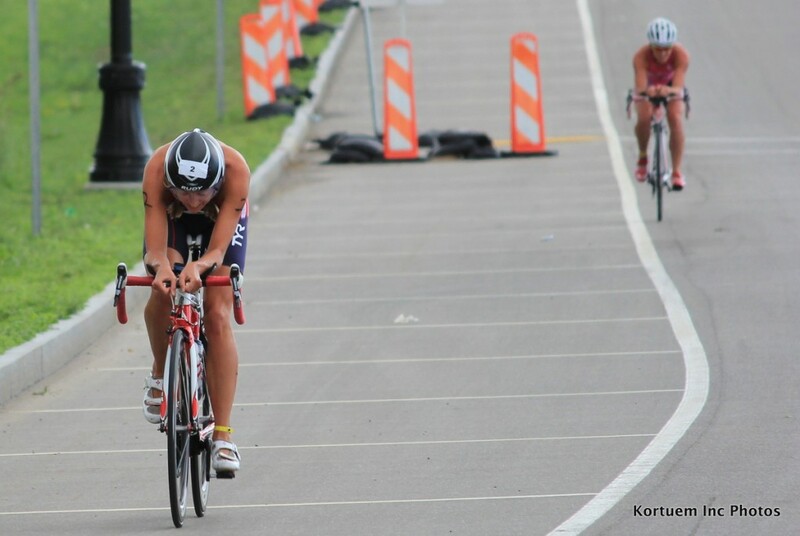 I never feel confident a race until I get close to the line and on the last 180 degree turn, I saw I had about a 1:15 gap with 1000meters to go. At this point, I knew I had secured my second National Title. Flora had a great race and she really pushed me as she is a phenomenal athlete! I am proud that I executed the race that I had mentally prepared for prior to the race. Buffalo was a direct flight from Orlando (big perk!). I had never been to Buffalo before, so it was great to see the sights and sounds. After the race we went to the Chocolate Bar (good food, but world famous deserts). It was pretty funny that there were 46 women in the restaurant and only one man (Nate). Seems to hold up to the theory that you can’t go wrong with a box of chocolates for a women on Valentines day! The next morning we visited Niagara Falls. What an amazing natural beauty. 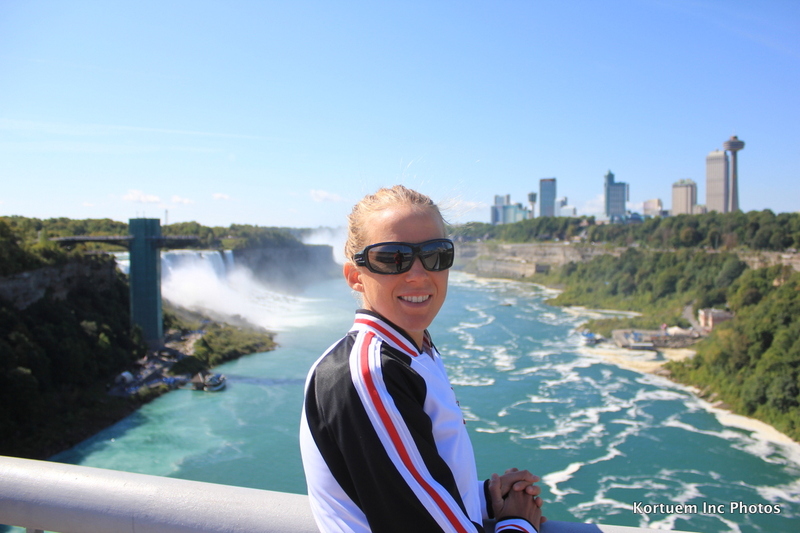 We did not have time to ride the Maid of the Mist, but that can wait for next time! 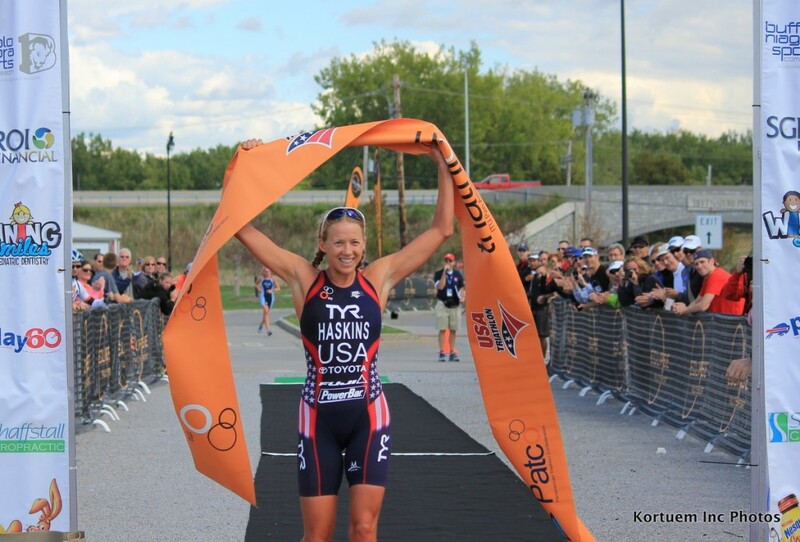 Thank you to USA Triathlon and Nickel City Tri for putting on a great race! I also thank all of my supporters/sponsors/family/friends. This race marked the seventh win of the season. I am looking forward to a massage soon! !